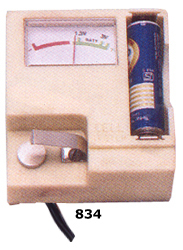 Description :-Simply place your battery between the two points of the tester and the easy-to-read meter will display the performance of your battery in seconds. Compact size and light weight. 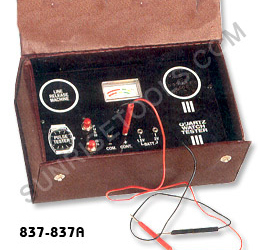 Description :-This demagnetising appliance is great for removes magnetic charge from small tools and watches. The tool or watch should be brushed over the machine for a maximum of 10 seconds. 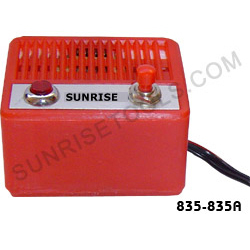 Description :-This instrument is used to test accuracy of quartz watch and quartz clock, average consumption current and battery voltage,etc. 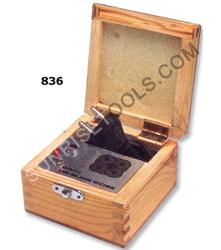 A must have for every watchmaker. 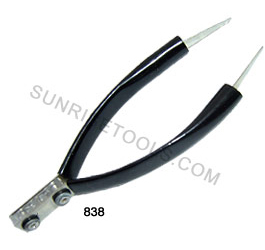 Description :-This cell testing tweezer can be used for button cell, torch cell and pencil cell batteries. Simply place tips of tweezers on the positive + negative ends of battery and if the battery has power the tweezers light indicator will glow.